Fun & Festive Caribbean entertainment with a 20+ year track record of providing exceptional service with rave reviews! 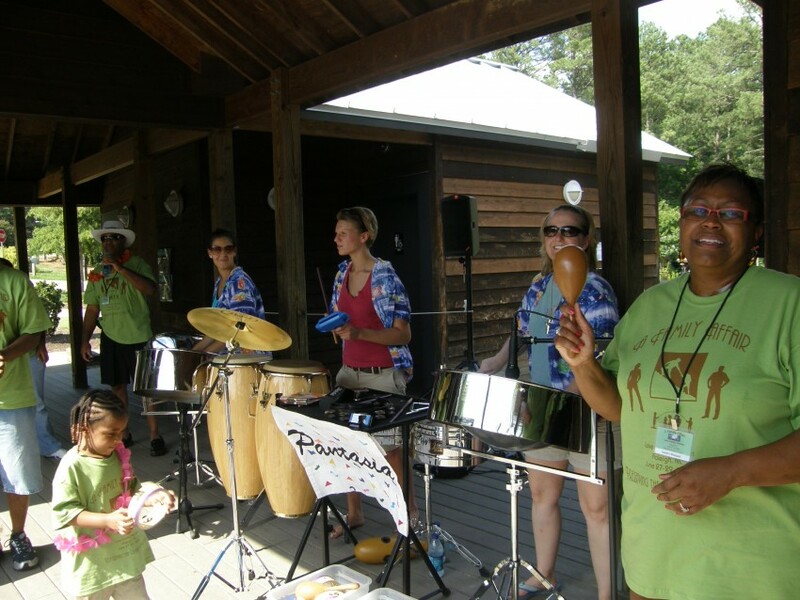 The Pantasia Steel Band entertains audiences at festivals, weddings, schools, private parties, weddings, concerts, corporate events, restaurants, conventions, tourist attractions, and in commercials throughout the Southeast. Pantasia has performed for preschoolers to residents in senior living communities, and every age in between. We specialize in family friendly entertainment and educational programs. Our director, Kimberly Roberts, started Pantasia in college and this "summer time job" has turned into a life-long career of creating exceptional events. Pantasia was a pleasure to work with. I was able to book them last minute and they were more than willing to help out with my event! They are very professional and sound great. I would highly recommend them for your event. Thanks for your rave review, Becca! :) We really enjoyed performing for your event. Pantasia provides a level of professionalism and attention to detail that is unmatched in the steel band community. We consistently receive "5 stars" and rave reviews from every client we've entertained. We are even listed with the South Carolina Arts Commission as one of the state of South Carolina's Approved Artists. Booking Pantasia is a hassle-free experience from start to finish. 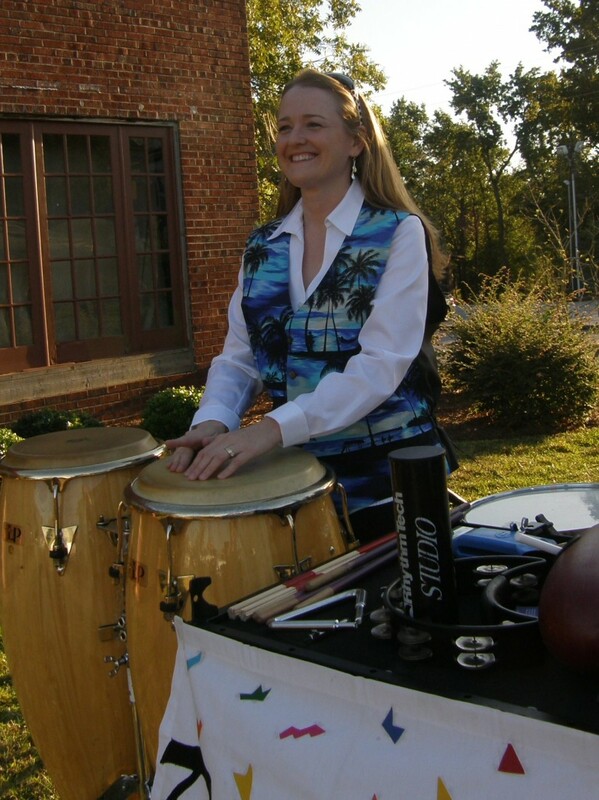 Our band leader, Kimberly Roberts has more than 20 years of event experience, working closely with event planners and directly with clients to provide an entertainment experience that exceeds expectations. Despite our high volume of performances, Kimberly enjoys working with each event and each venue as if it's our most important performance. Exceptional service. Attention to detail. Experience that matters. Call us to start planning your event. The Pantasia Steel Band was formed in 1994 by three musicians with a love for steel drums, a passion for performing, and a desire to provide quality, professional entertainment. Our current director, Kimberly Roberts was one of the founding members. A lot has changed since Pantasia’s first performance in 1994. After all, iPods, USB cables, flat screen TVs, and Wi-Fi didn't even exist. Cell phones were a luxury and new cars still came with cassette players! The general public’s knowledge of something called the “internet” was limited, the verb “texting” had not yet been spoken, and you couldn't even see a photo until you took the film to be developed. Twenty years later, one thing hasn't changed...Pantasia 's members are still musicians with a love for steel drums, a passion for performing, and a desire to provide quality, professional entertainment. All of our performers are courteous, fun, prompt, and energetic with the goal to make your event, no matter what the occasion, an event to remember! Over the past 20 years, we've performed for hundreds of events, focusing on those held in North Carolina, South Carolina, and Georgia with an occasional trek to neighboring portions of Virginia, Tennessee, and Florida. Although we have limited our focus to a tri-state area, the types of events we perform for is limitless. Our most common events are wedding ceremonies/rehearsal dinners/cocktail hours, trade shows & conventions, corporate events, festivals, neighborhood parties, graduation/engagement parties, Grand Openings, family reunions, political events, birthday parties, and schools. Some of our more unexpected performances have included Christmas music in the shoe department of Nordstrom's, Halloween masquerade parties, fashion shows for Belks Department Stores, annual entertainment for an auto auction, and the registration table at a Red Cross blood drive. Pantasia is perfect for so many venues and types of events! Due to the nature of steel drums, Pantasia cannot perform in direct sunlight. The metal heats up on the drums and becomes pliable. This can cause the notes to be "beaten" out of tune while played. Be cautious of hiring any steel drummer who is willing to perform in direct sunlight. It is very likely that his or her instrument is not well maintained or in tune. We are unable to perform in any situation which will cause the instruments to get wet. Again, be cautious of hiring any steel drummer who is comfortable with performing in wet conditions. 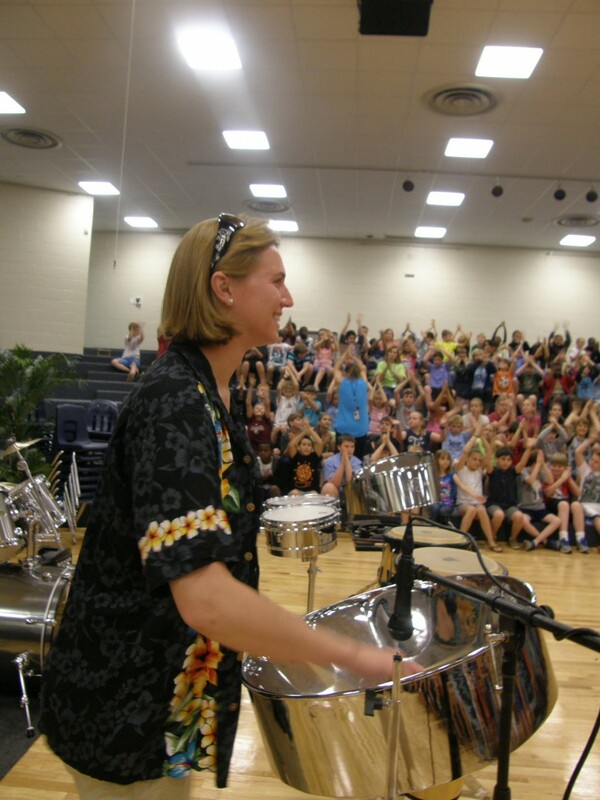 It is likely his or her steel drums are rusty and are poorly maintained. duo performance consists of lead pan & Caribbean percussion such as conga drums, timbales, maracas, etc. Pantasia provides all of its own equipment. For school assemblies and festival performances, Pantasia requires a speaking microphone and a sound system from which to broadcast it.